to welcome you to our Herman J. 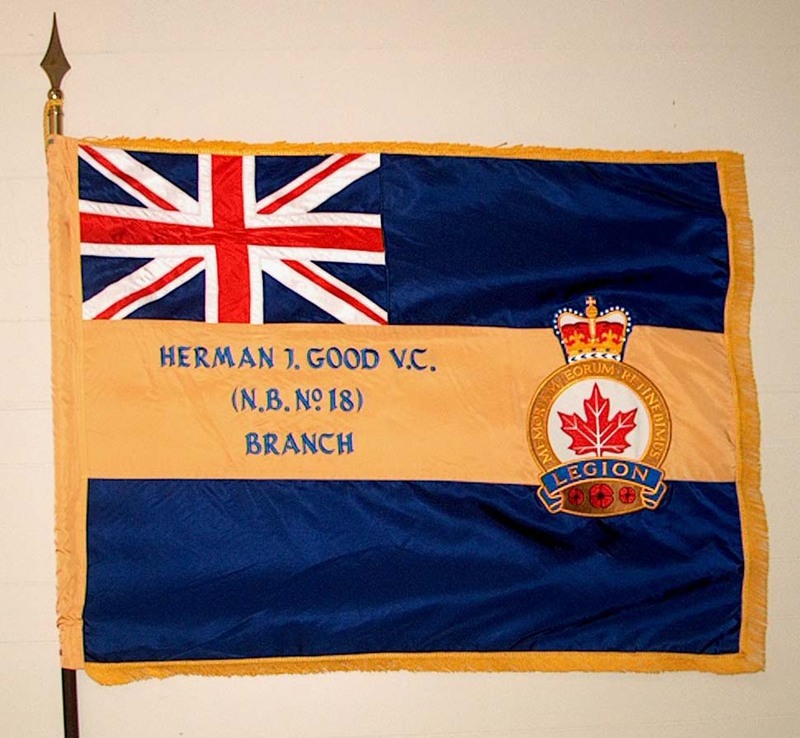 Good V.C., Branch 18, Royal Canadian Legion website. as to how we may continue to make our Branch more active and prosperous. Our website will give only; a birds' eye view of our Branch interior. It would be interesting if we could have Legion visitations with one another to share a little friendship. 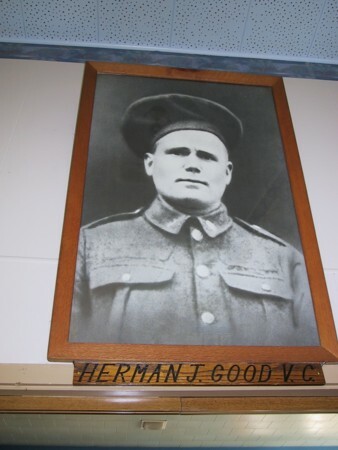 Herman James Good was born in South Bathurst, New Brunswick, on the 29th of November 1888. 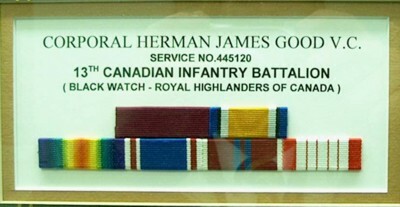 He was educated in the local public school and later engaged in lumbering operations in the Bathurst area. during the first day of the Canadian Corps attack in the battle of Amiens. this N.C.O. dashed forward alone, killing several of the garrison, and capturing the remainder. Later on Corporal Good, while alone, encountered a battery of 5.9 inch guns, which were in action at the time. Collecting three men of his section, he charged the battery under point blank fire and captured the entire crews of three guns."